Once you have successfully deployed the vApp, we now Power ON the vApp. 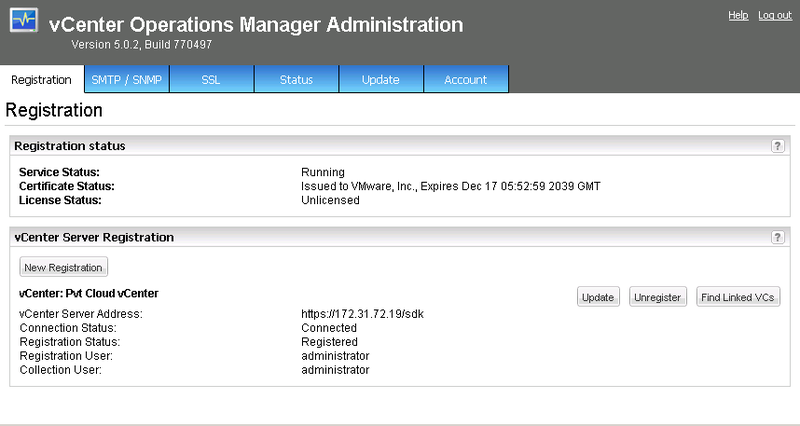 Wait for both the UI and analytics virtual machines to power on. 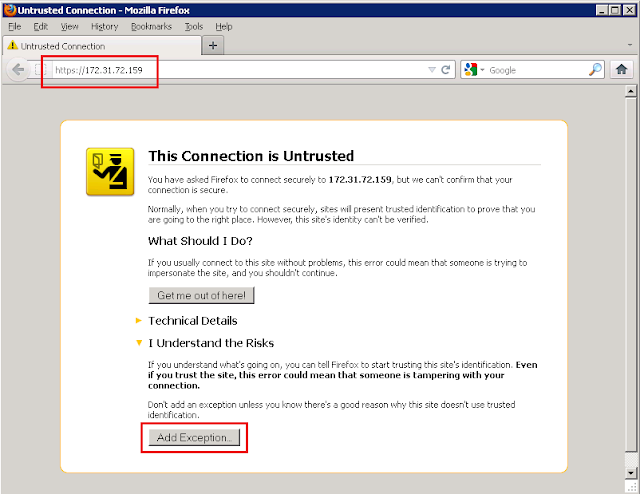 Go to a browser and type in the URL as noted in the previous step. 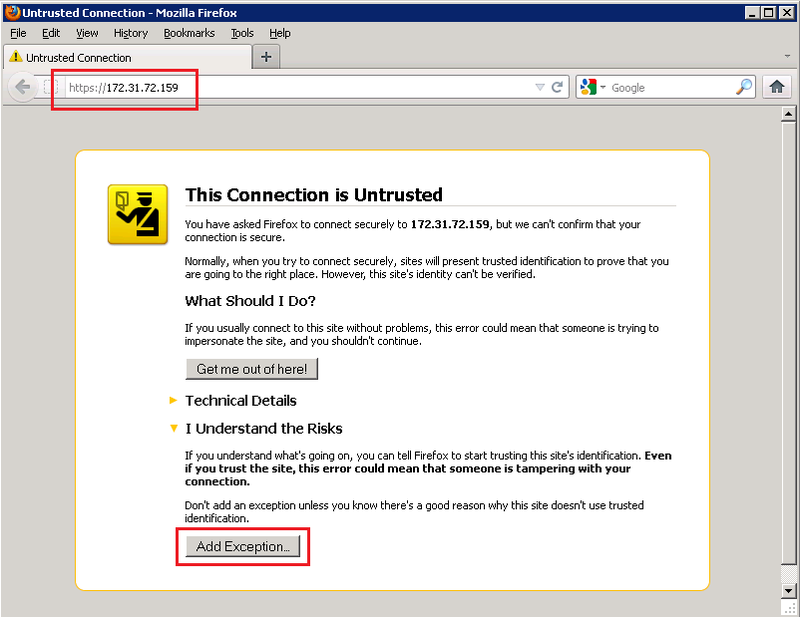 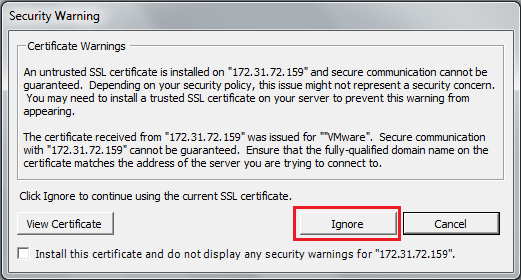 If you see a warning as shown below, then Add an Exception to it and continue with the configuration steps. 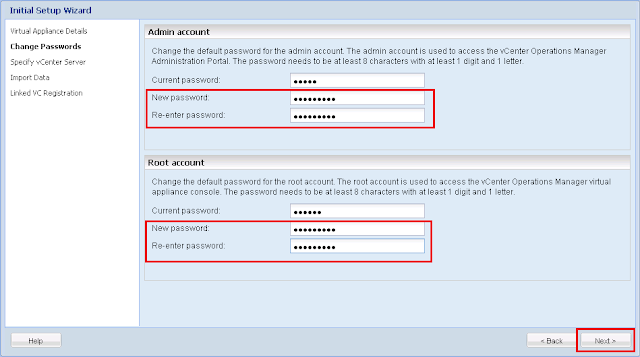 You will be presented with the following Login Screen. 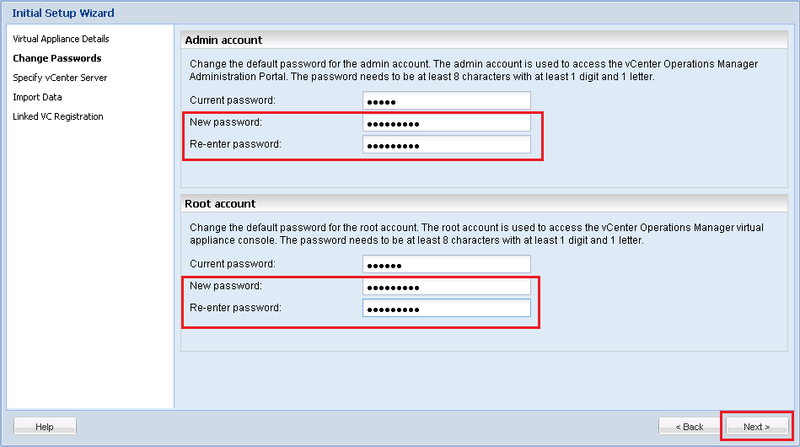 Log i n to the system as admin/admin. 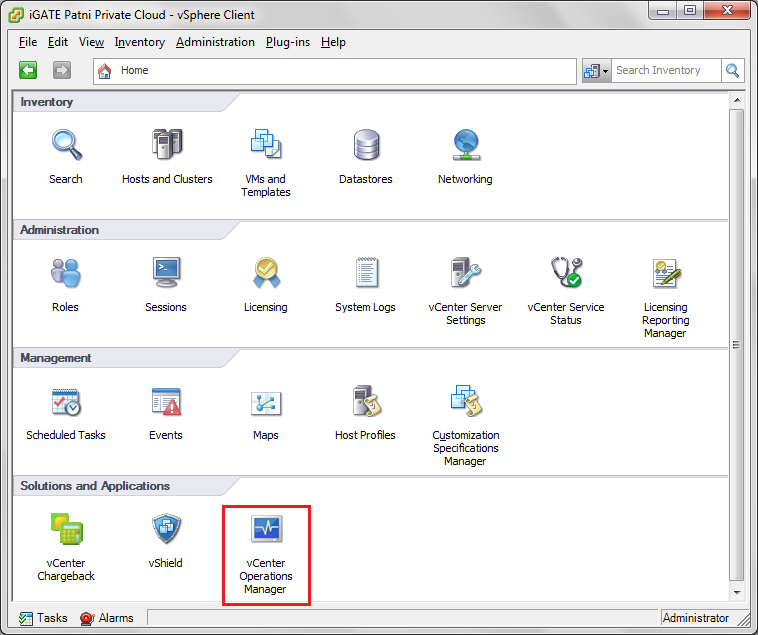 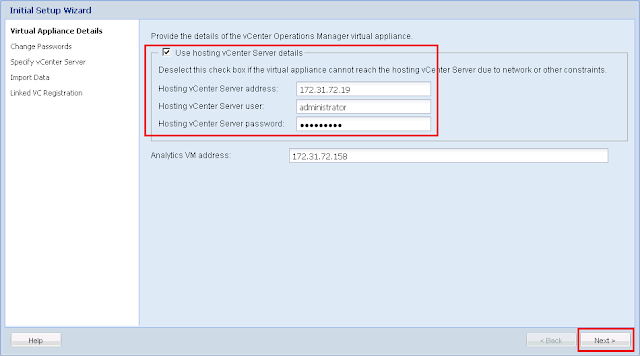 Configure vCenter Operations Manager 5 to connect and register to vCenter. 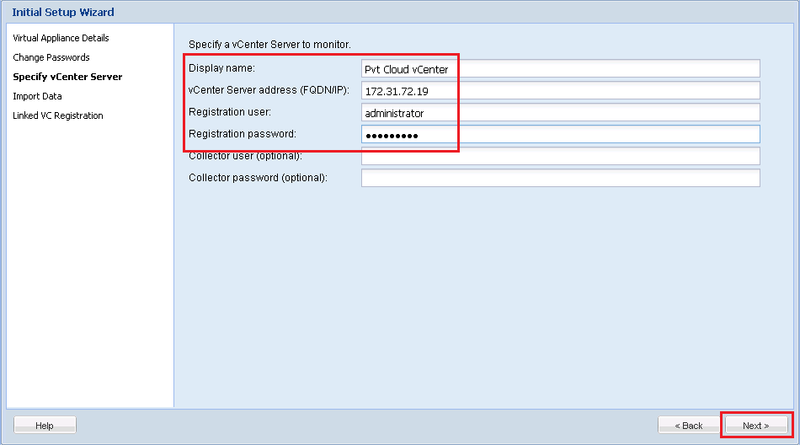 The first username must be of an administrative user. 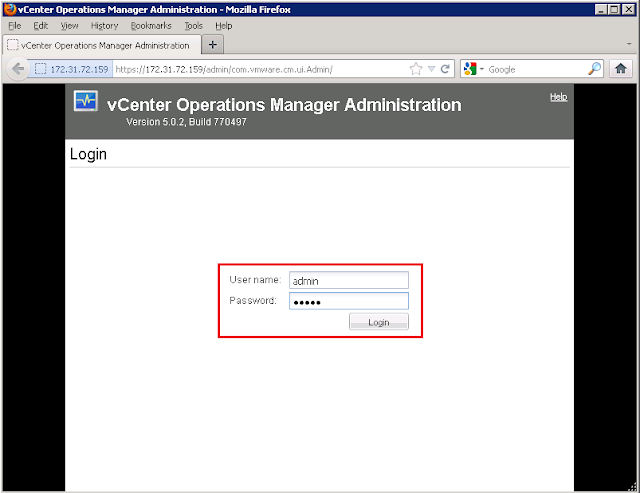 Change the Admin as well as the root password for the vCenter Operations Manager vApp console. 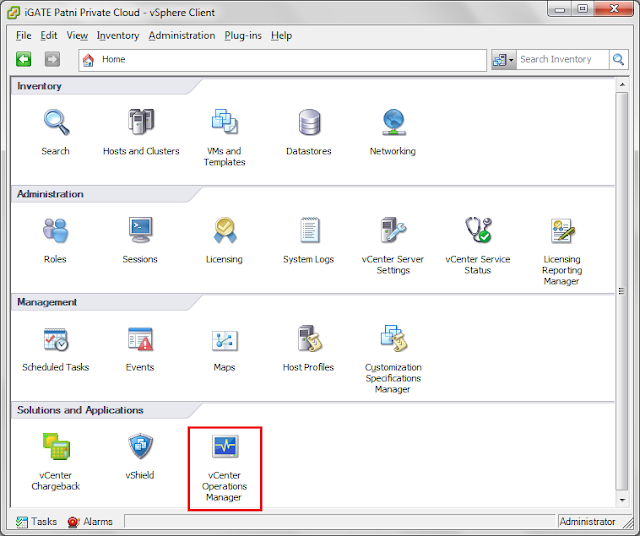 The “collection” username can be of the same administrative user or of a different (read-only) user that you can use to limit the collection of data to a subset of virtual machines. 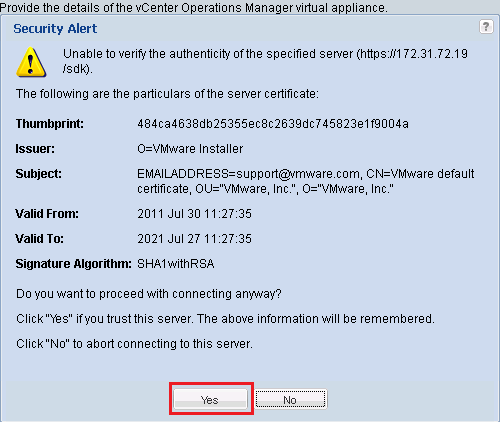 Verify that vCenter Server registered successfully. 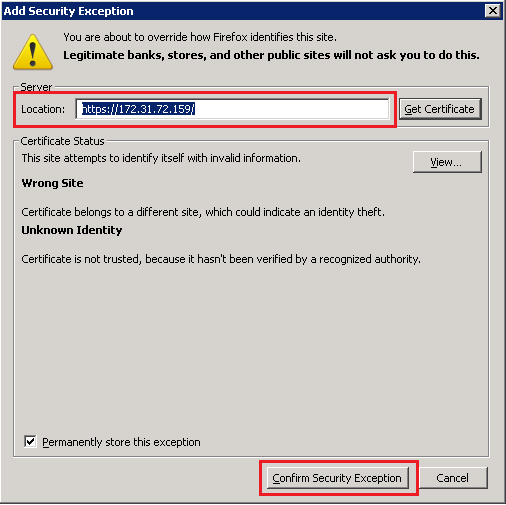 NOTE: The registration process can take several minutes. License vCenter Operations Manager 5. 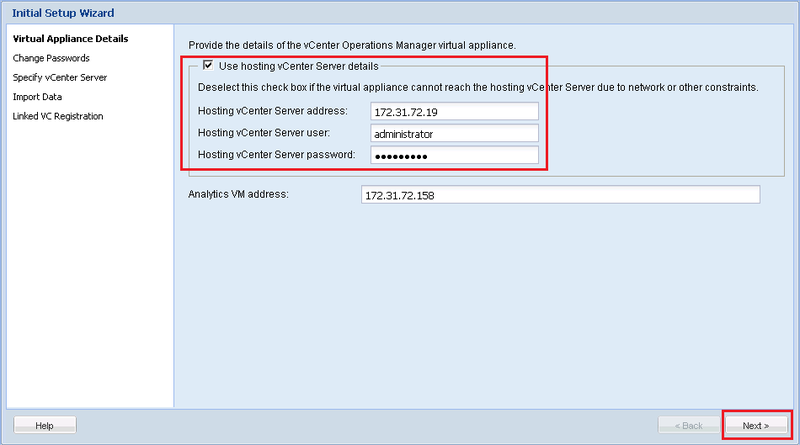 In vCenter Server, switch to Home >> Administration >> Licensing. 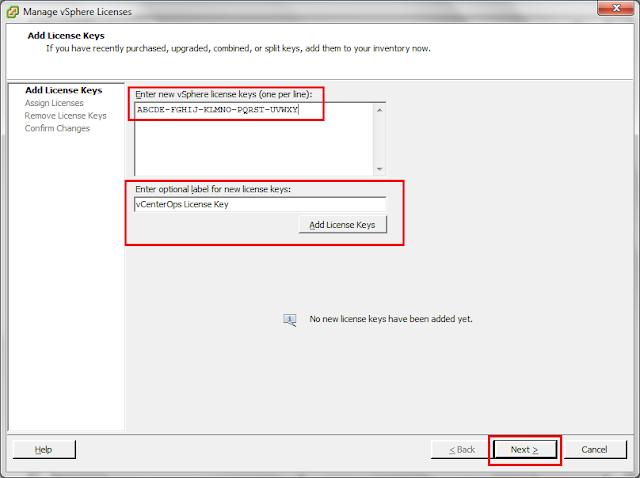 Click the Asset radio button. 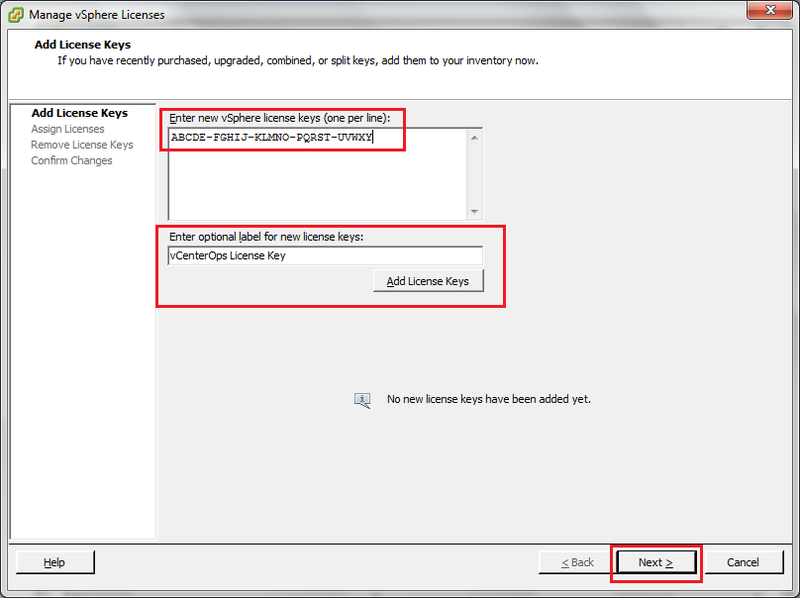 Add the license key to the newly added and unlicensed vCenter Operations Manager 5. 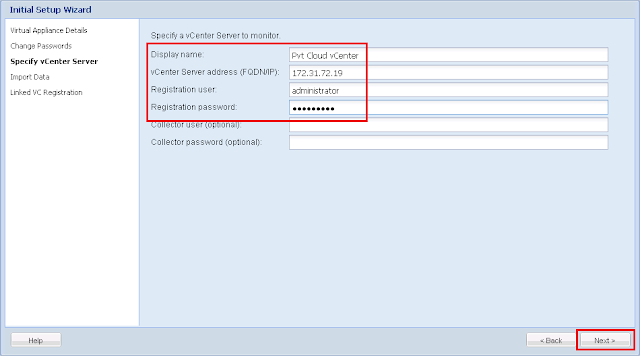 Once licensed, launch vCenter Operations Manager 5 and log in. 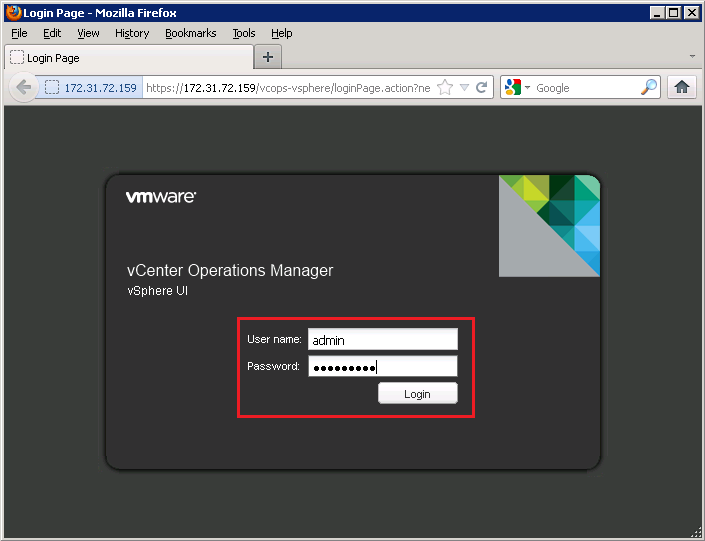 Launch the vSphere UI and log in using the login and password set earlier in the deployment. vCenter Operations Manager 5 starts collecting data immediately. 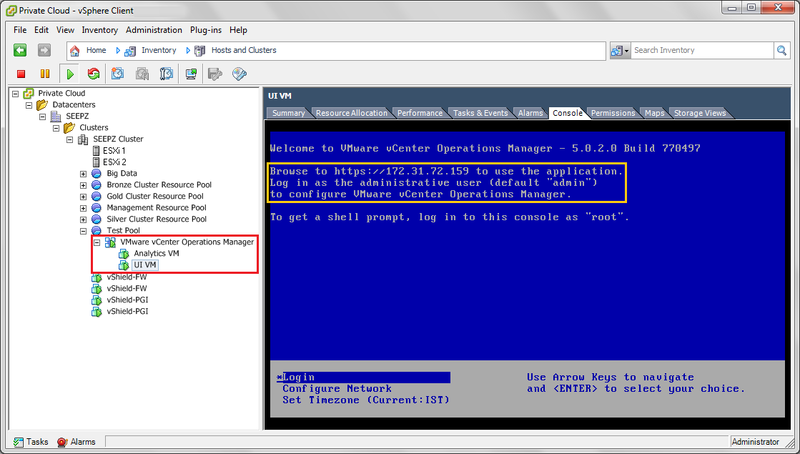 As analyzed data becomes available, more information is displayed in vCenter Operations Manager 5. 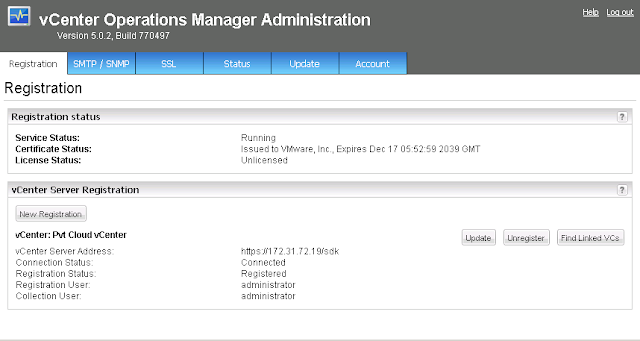 Server and ESX host versions. 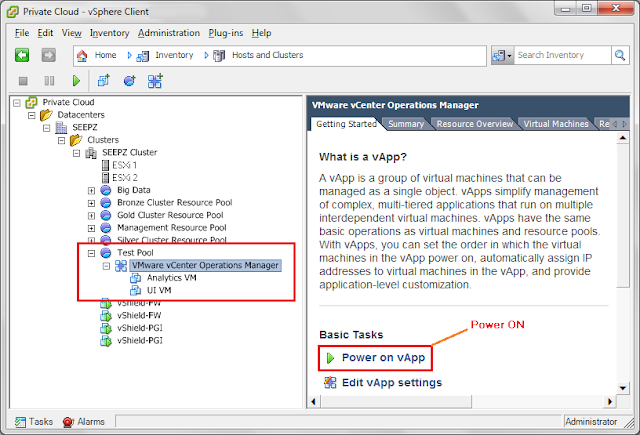 You are now ready to start using vCenter Operations Manager.